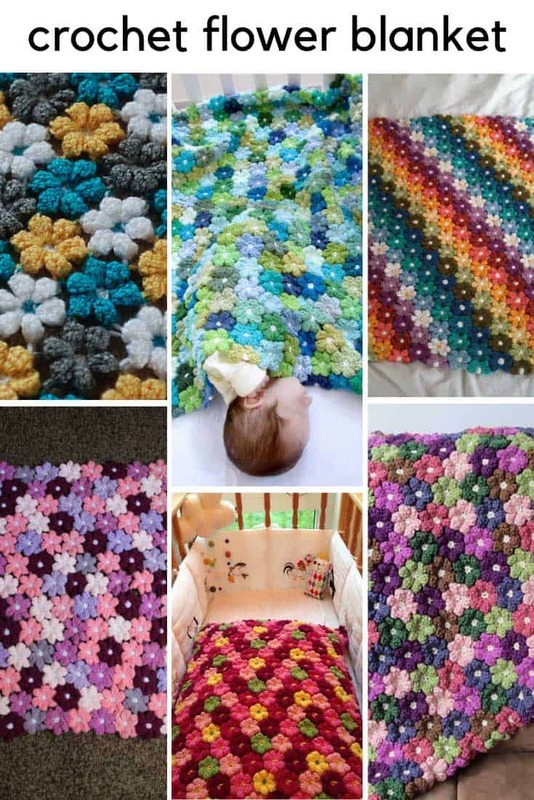 Are you on the hunt for a crochet flower baby blanket? 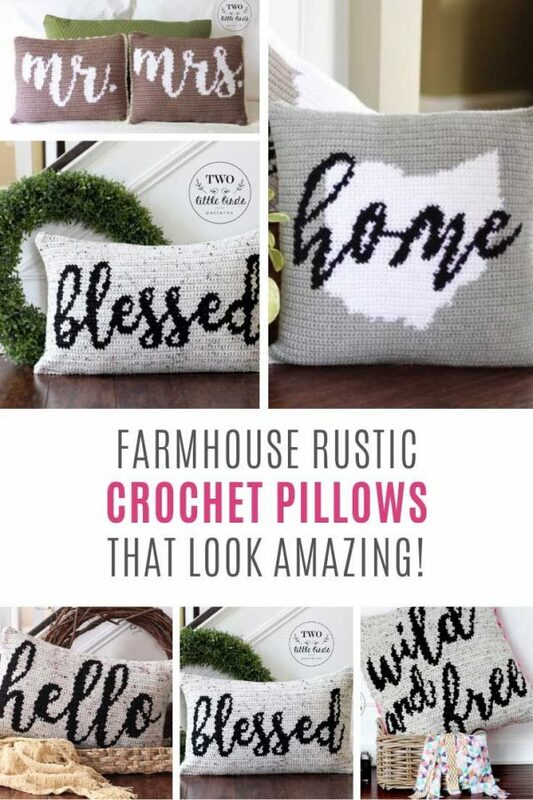 You’re in the right place because this pattern one is GORGEOUS and loved by everyone! 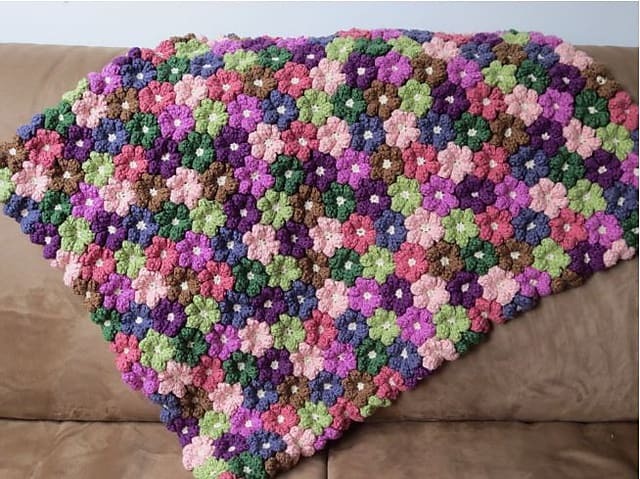 One of our most popular collections is filled with crochet flower patterns so when I saw this STUNNING crochet flower baby blanket I knew I had to share it with you! 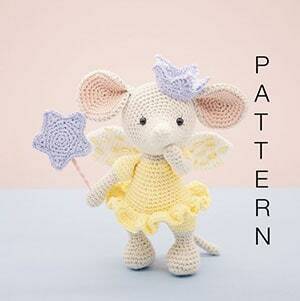 It was designed by Adi as a gift for her baby nephew. 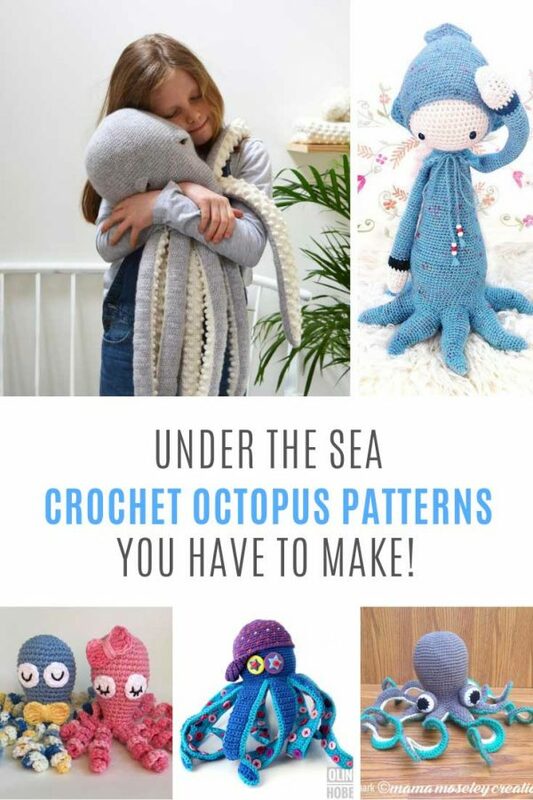 and the thing I love most about her story is that it was made as a family project. 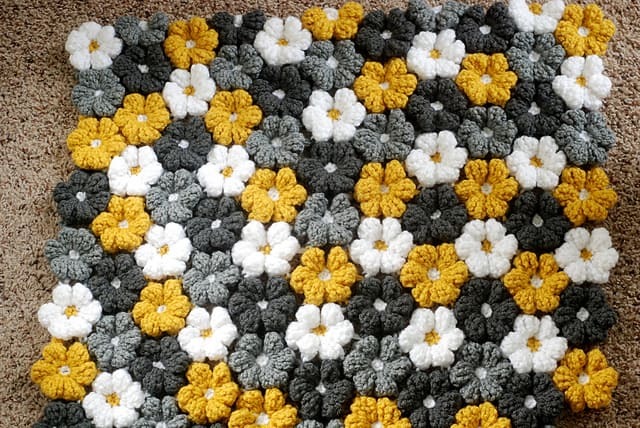 All the women in her family crocheted a handful of flowers and then they were all stitched together to make an absolutely gorgeous baby blanket that was made with love! 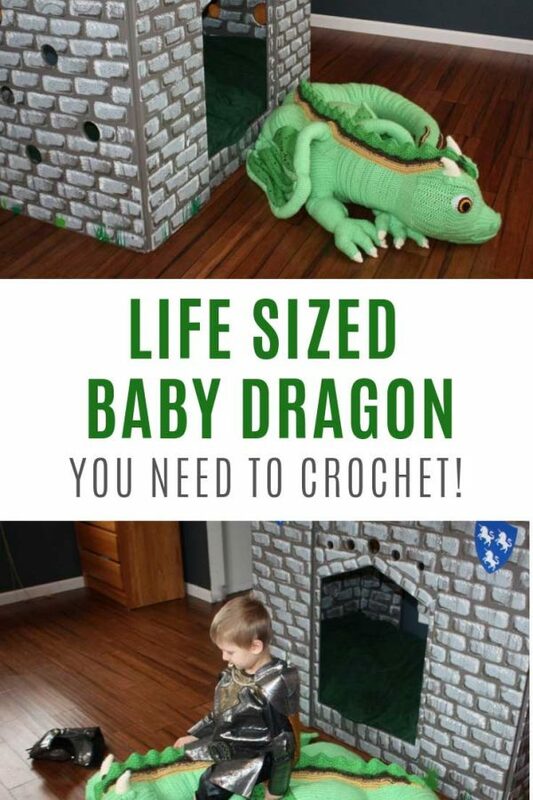 The skill level for this project is intermediate. 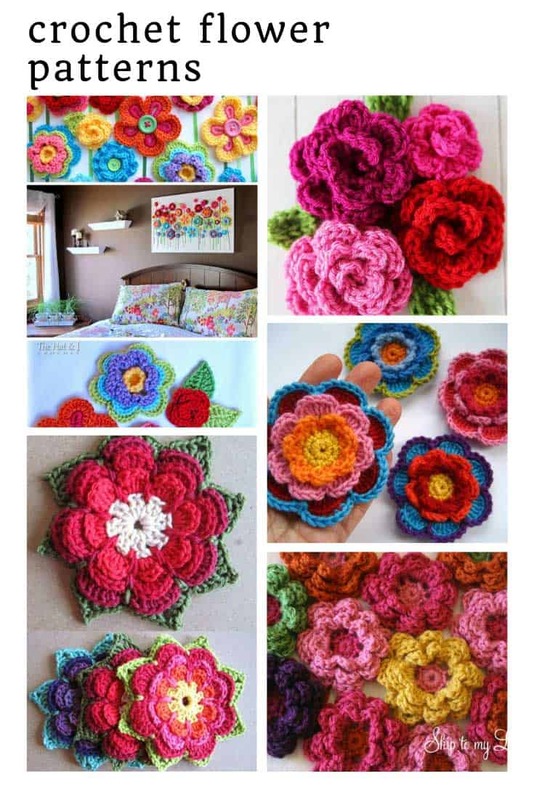 The pattern is 11 pages long with detailed instructions and lots of step-by-step photos and sketches to show you how to crochet the flowers and how the blanket comes together. 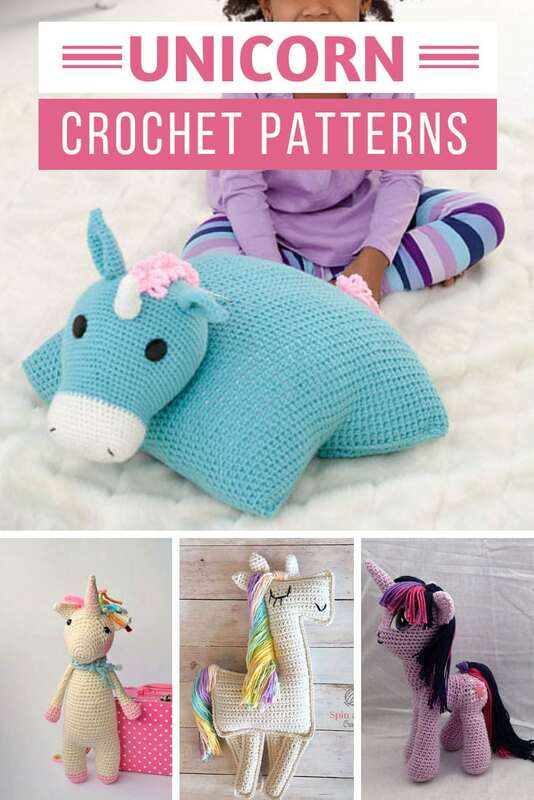 Adi has helpfully included a text only version of the pattern to in case you want to print it out. 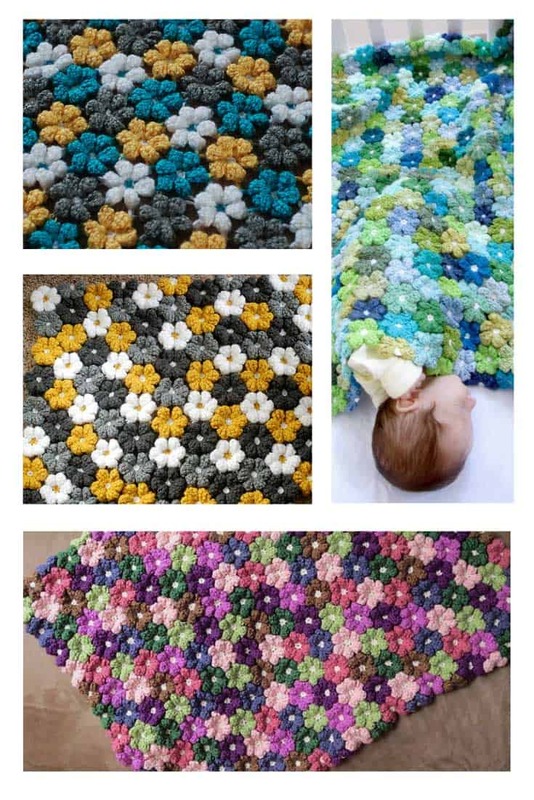 Our fellow Ravelrers LOVE this baby blanket and it’s been made about 145 times, with 500 people having it in their queue. 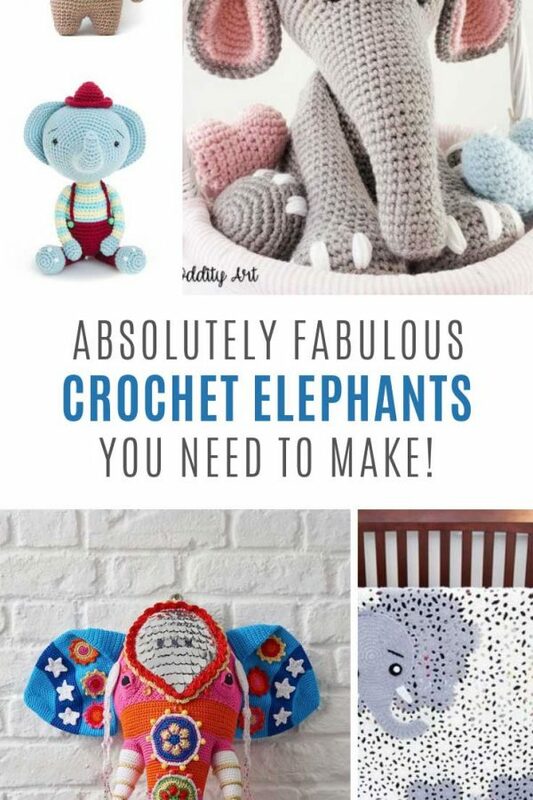 I love to see how other crocheters bring a pattern to life so here are some of my favorite projects! 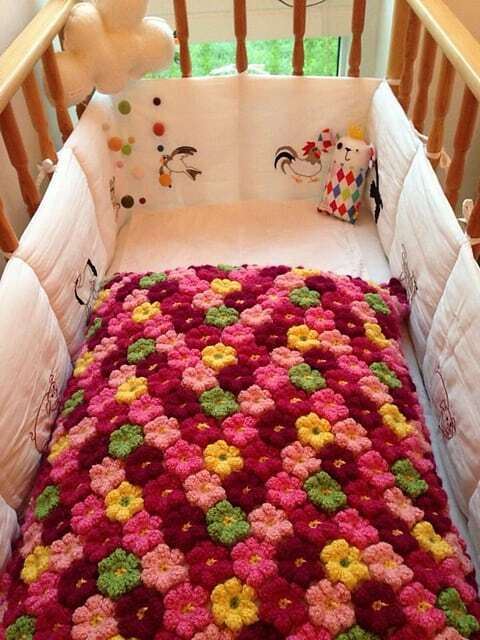 Alaina worked up her blanket in cotton yarn and chose to put her flowers together in a rainbow pattern. It’s simply beautiful! 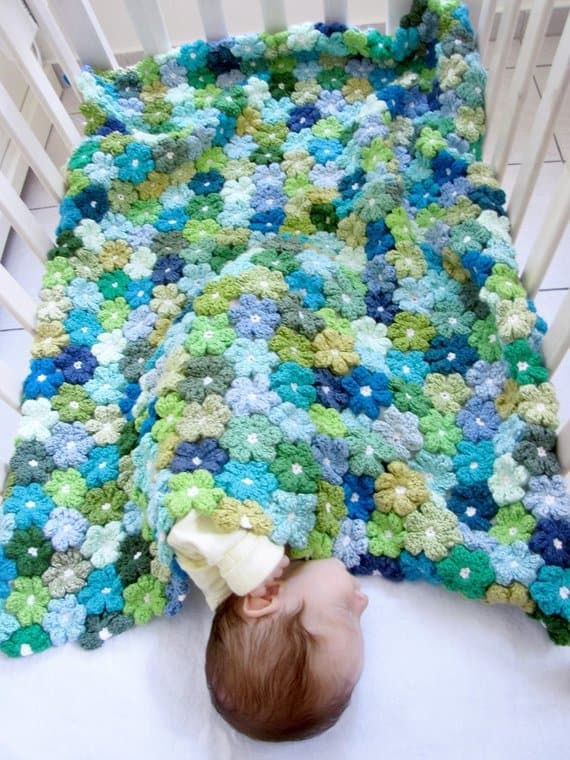 Cassia made her blanket for a friend who was waiting to find out the baby’s gender. 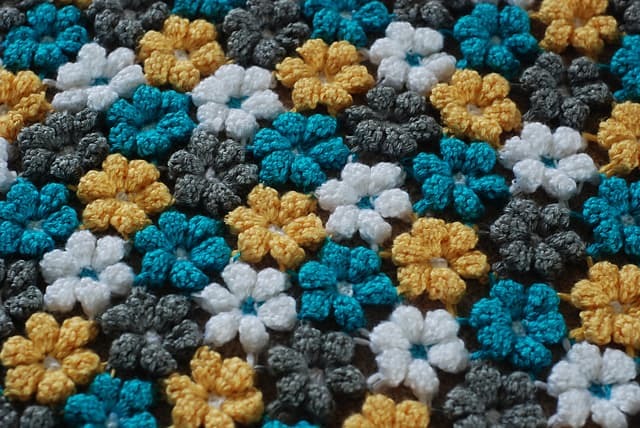 The turquoise, yellow and grey is the perfect gender neutral combination! 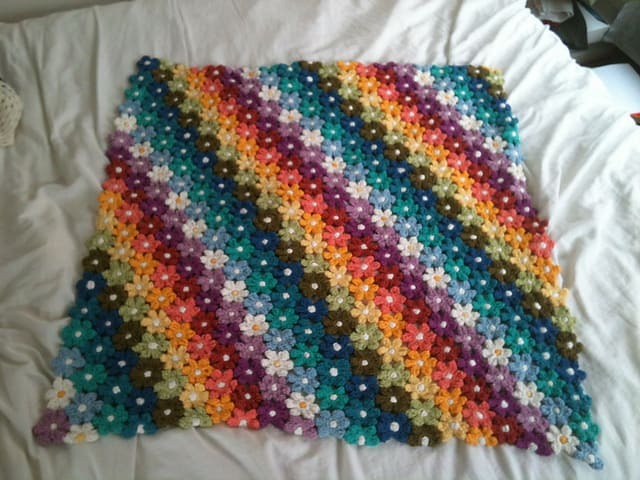 She used Caron Simply Soft Solids. 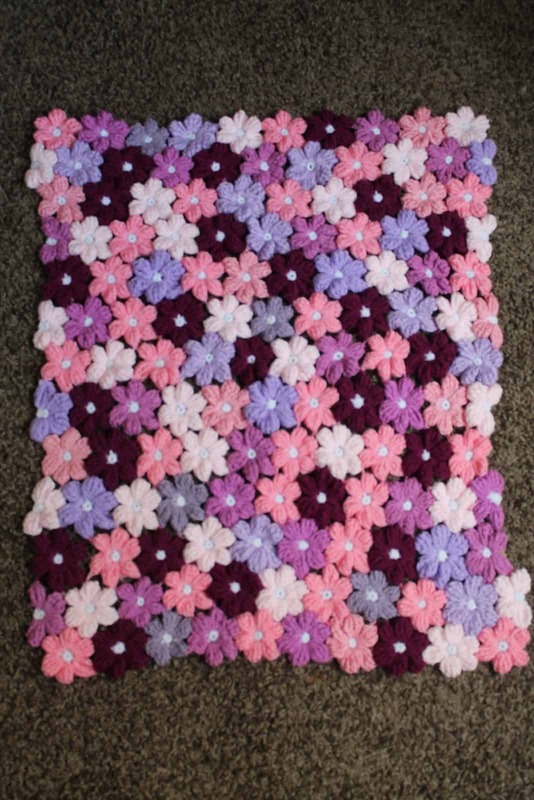 Jenni made her blanket in shades of burgundy and pink and I think it is the perfect compliment for a baby girl’s nursery. Or you could try shades of purple and lilac like Emily did. 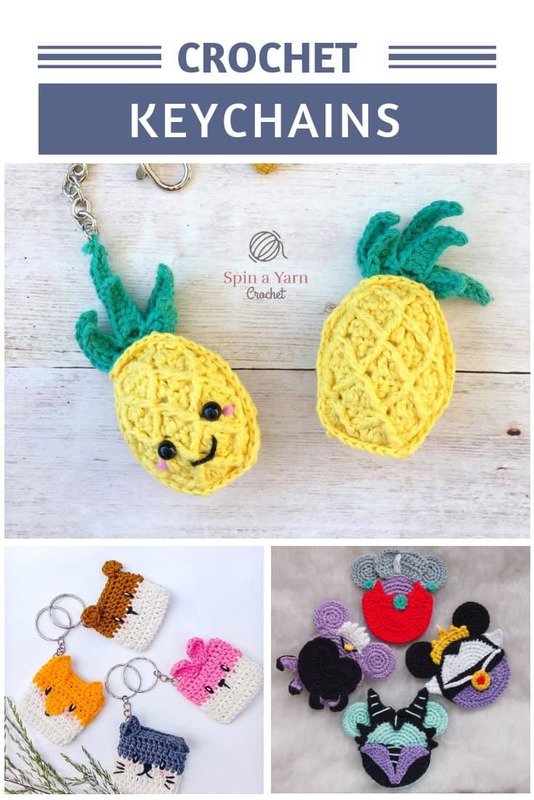 She used Knit Picks yarn and you can see all the colours she chose on her project page (via the link above the photo). Here’s another gender neutral colour selection, this time using Lion Brand Vanna’s Choice yarn in mustard and grey. 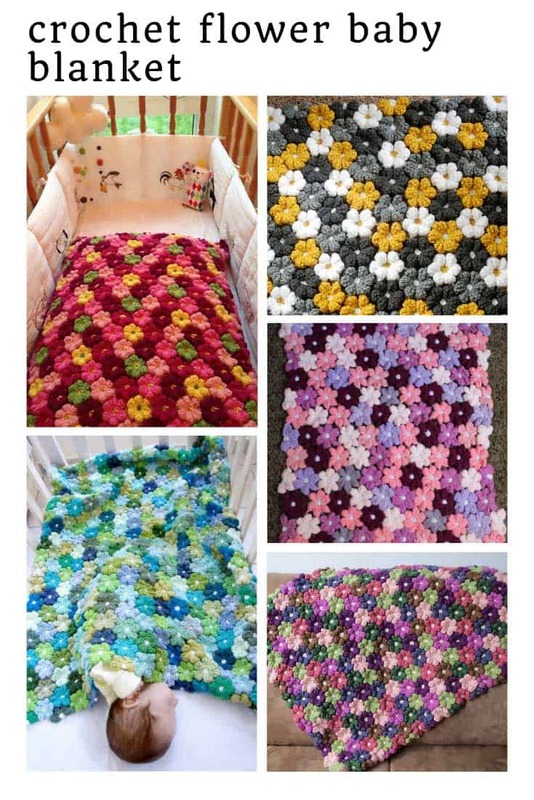 Debbie used seven different colours of yarn to make her crochet flower baby blanket, and then she placed them as “randomly” as she could so that no two flowers of the same colour sat next to each other. 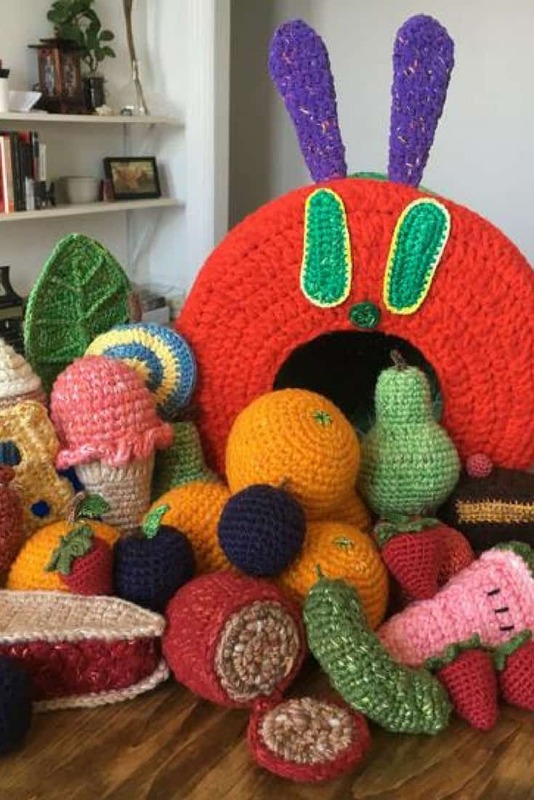 She made her blanket for a charity event which I think is a wonderful idea!